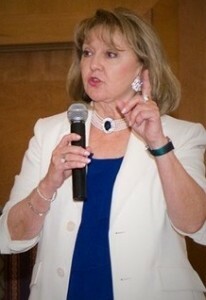 Patricia Noel Drain has been a member of NSA for over 20 years. She is a mentor to business owners, speakers and coaches specializing in taking their businesses to a higher level. Her newest program, Speak to Tell, then Proudly Sell was created because she realized that selling is a noble profession – a fact even speakers tend to forget. Patricia has built and sold seven companies to date. She has numerous awards including: Most Influential Business Owner in the State of Arizona presented by the Phoenix Journal; Hall of Fame by National Association of Personnel; Woman Business Owner of the Year by the National Association of Women Business Owners. She has authored 12 books to date. LIMITED SEATING since we will be video taping the speakers. If you prefer just being in the audience, that is okay also. Price: ONLY $297.00 for both days.